Service is just a click away with UTAX smart. You can quickly and easily generate a service request directly via the UTAX smart interface. UTAX smart forwards this straight to your specialist retailer. 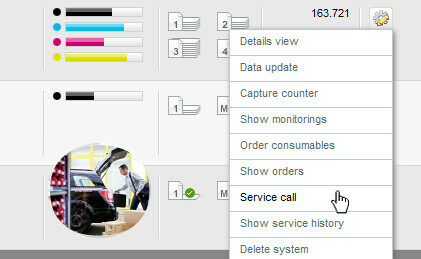 The current status of the service order is also displayed in UTAX smart, providing you with a full overview at all times. HyPAS™-enabled systems from UTAX in combination with UTAX smart allow you to send service requests and orders directly from the respective multifunctional system. 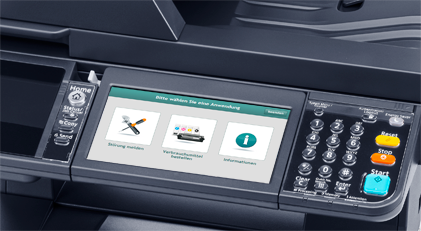 All relevant system data, such as the serial number and location, is automatically transmitted. If the service has already been notified then the system directly displays the current status to you. The time-consuming process of searching for and jotting down the necessary information is also no longer required. Service requests and orders are therefore directly generated with little effort at the necessary time and location.